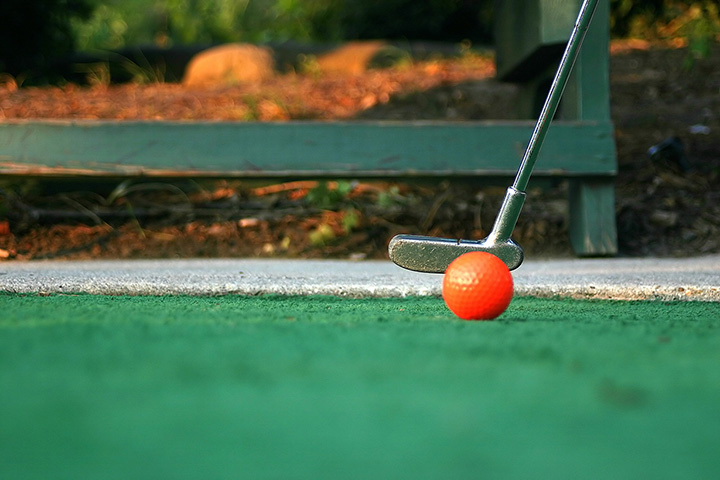 The 5 Best Mini Golf Courses in Rhode Island! Looking for a fun way to get competitive with your friends? Mini golf provides the perfect opportunity for an alternative night out with friends or fun day with the family. If your short game is better than your long game, look no further than one of these fun themed mini golf courses! Looking for a night of good clean fun? Explore the two 18-hole courses, which include a volcano and waterfall! For more seasoned golfers, there is a nice driving range, too, where you can try your hand at some longer-range golf. Head of to Sweet Caroline’s for a cone of delicious ice cream and a fun round of mini golf! While you’re there you can also race go-karts or hit up the batting cages. This is the perfect beachside hangout for kids and adults! At night, they’ll even light up the golf course for some nighttime putt putt. For affordable fun and a deceiving challenge, head out to this cash-only mini golf place near the shore! You’ll feel transported back to another time with Breezy Acres’ old-style course and traditional wood-framed greens. For $8, enjoy a round of mini-golf. Get prepared to confront a hole with a jump or their mini-golf mountain. The place is family-friendly and also offers go-karts and bumper boats!